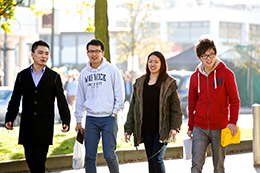 You may like to note that the University organises a Welcome to Warwick programme to help students adjust to Warwick and the UK before the start of the new academic year. This is particularly helpful if you haven’t studied in the UK before. More details about the programme are made available at the Welcome to Warwick website. You need to ensure the University of Warwick has a current contact address for you. Please check that all these details are correct on your UCAS application online via www.ucas.com. Updating these details direct with UCAS will automatically also update our records.